The unique look of concrete can add an unexpected, stunning element to your home's decor. 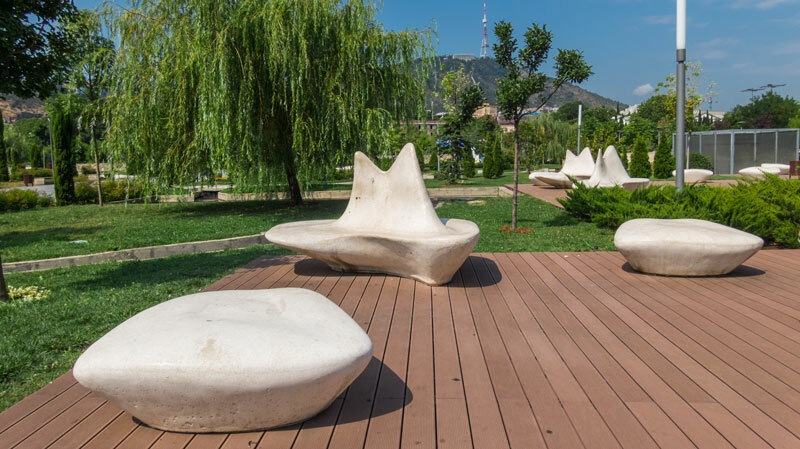 Because of its versatility and appeal, it is common to find concrete used for coffee tables, dining tables, kitchen benchtops, side tables, outdoor furniture, and elsewhere. 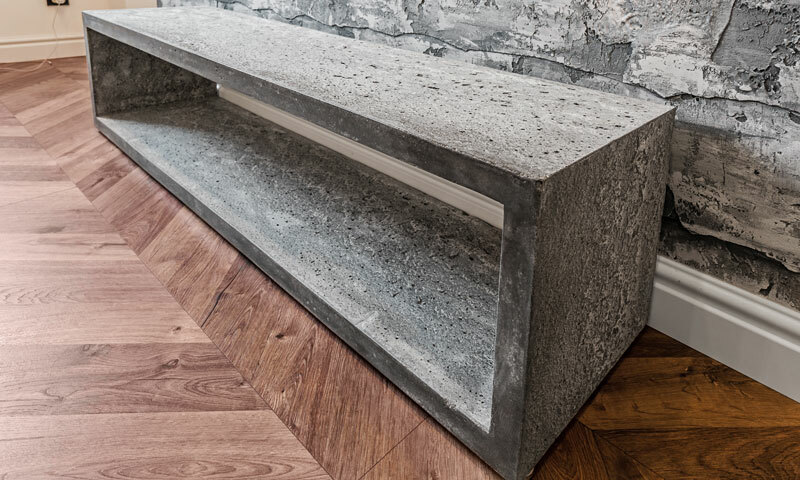 Engineered concrete is gaining popularity among interior designer's, and for good reason. Its raw, natural appearance works well with patios, classic interiors, contemporary designs, and much more. It can be seamlessly paired with warm tones, luxe leather, textured throws, and plush cushions and rugs. With the simple addition of a concrete side table or coffee table, you can instantly modernise your home. As versatile and timeless as concrete furniture is, it is not indestructible. Although its porous, organic nature will allow it to gain character over time, it is still important to care for it properly. Read on to learn 11 tips for caring for concrete furniture to keep it in top condition. It is important to avoid high powered pressure washers as they may be too rough on the surface. For the majority of instances, the pressure from a garden nozzle will be all that is needed to get concrete furniture adequately clean. Steer clear of cleaners that are acid based. Although heavy acid formulas may be appropriate for pool servicing or commercial concrete needs, they are not suitable for concrete furniture. These formulations are far too caustic and will damage concrete furniture. Also, use a cutting board when chopping fruits or vegetables (you will most certainly regret cutting a lemon directly on the surface) and be careful not to spill any vinegar on the surface. If spills occur, be sure to address them as quickly as possible. The longer moisture is allowed to sit on the surface, the harder it will be to get clean. Clean up spills using a simple mix of mild soap and water. For worrisome spills, try a mix of 1 part standard chlorine bleach and 2 parts water. Use this mixture to clean the entire surface of the furniture. General, everyday cleaning is best done with a warm washcloth - simple as that! Avoid dragging concrete furniture. This can permanently damage the furniture itself or your flooring. Instead, enlist the help of at least 3 to 4 adults when it comes to moving concrete furniture. As with the majority of natural products, some level of colour variation is to be expected. Over time, concrete will change and take on a unique look, just as with leather. It is best to avoid placing hot items directly on concrete furniture. Doing this will most likely end up discolouring the sealant. Instead, invest in some placements, coasters, and heat-protection mats. Although it may be tempting to buy fancy cleaning products with huge ingredient lists, there is a chance they will do more harm than good. Stay away from cleaners that contain citrus, alcohol, or acetone. To extend the life of your concrete furniture and help protect it from marks, consider adding an appropriate, quality surface sealant. Check with your retailer for details. Generally, a sealant is recommended to be re-applied once a year. Concrete furniture can also be waxed approximately every six months. Be sure to do your research beforehand, follow the instructions for application carefully, and use a suitable wax. It is important to avoid scrubbing too vigorously as this could damage the surface sealant. As mentioned above, the majority of cleaning can be successfully done using just a warm washcloth and gentle scrubbing motions. Just because it is concrete does not mean you cannot damage it. Do not sit or stand on your concrete surface and be careful not to slam any hard items into it as this may cause chipping. It is also important not to drag any rough or sharp items across the surface to prevent scratches. If you are placing heavy vases or centerpieces on your concrete furniture, it is important to use felt pads underneath the item. When exposed to direct sunlight, mild colour changes may occur over time. You can either embrace the additional character this will add or rotate your furniture occasionally if it is in direct sunlight. 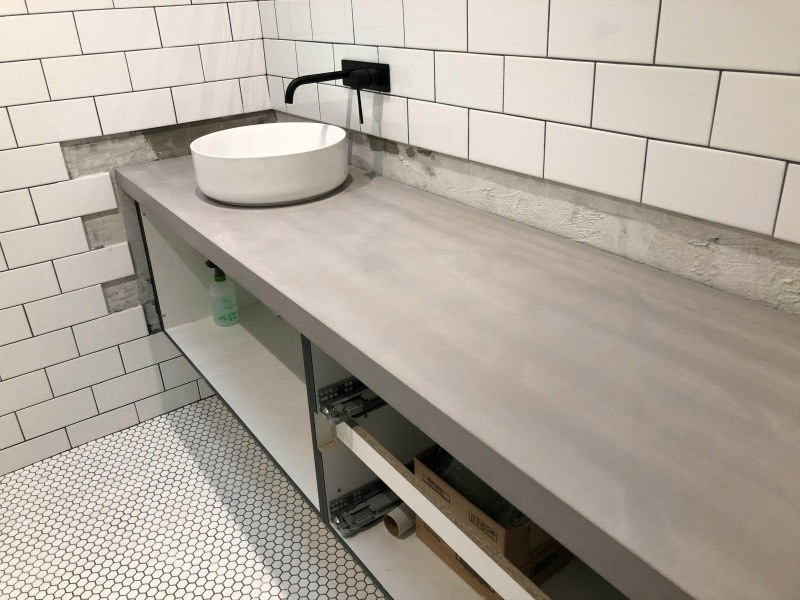 For more advice on anything concrete related or to inquire about our unique custom concrete furniture please contact us.